Now here is the second post for our “KAL2 with Kristen & Konrad”. 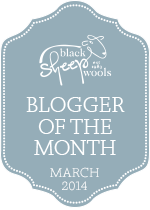 As you already know we have chosen Trinity a design by Lisa Richardson from the Pure Linen Collection. Here is a first pic of my Trinity. 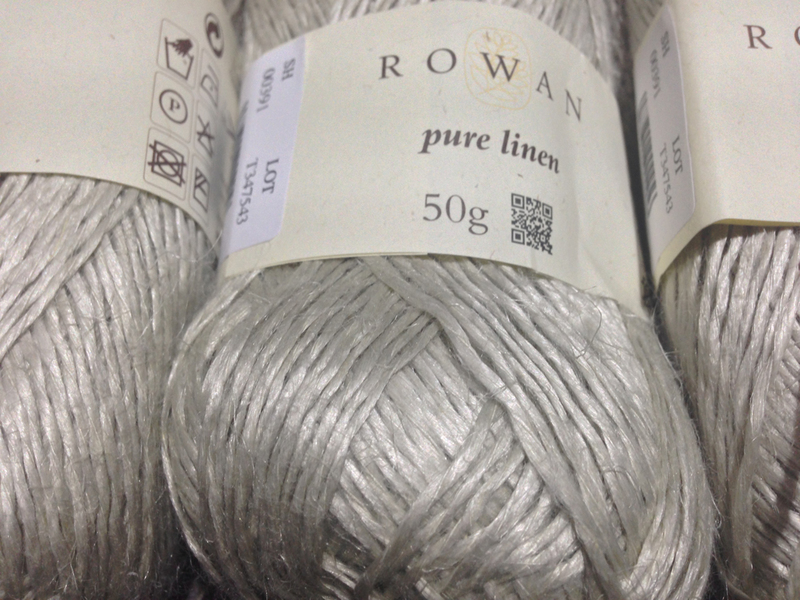 Don’t miss the blog of Kristen, showing her progress of knitting with Rowan Pure Linen. 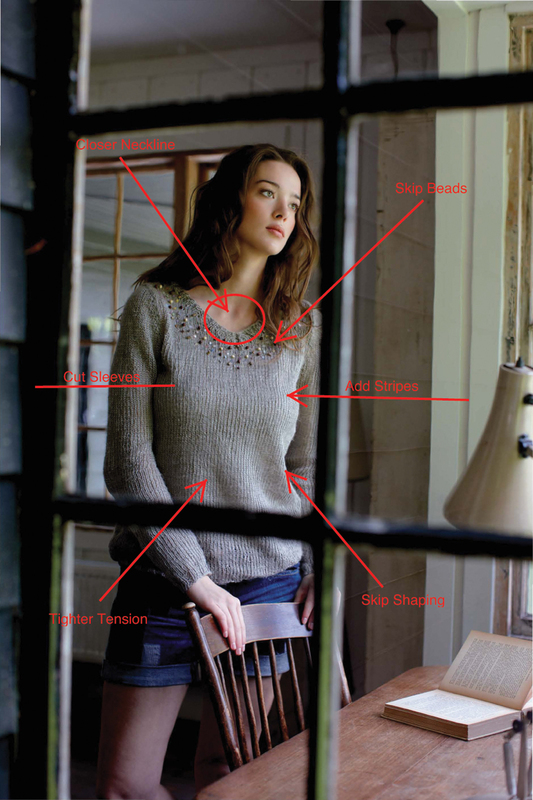 I like the idea of this sweater, and the KAL idea, but… you are essentially writing an entirely new pattern. Is it even worth calling it “Trinity”? 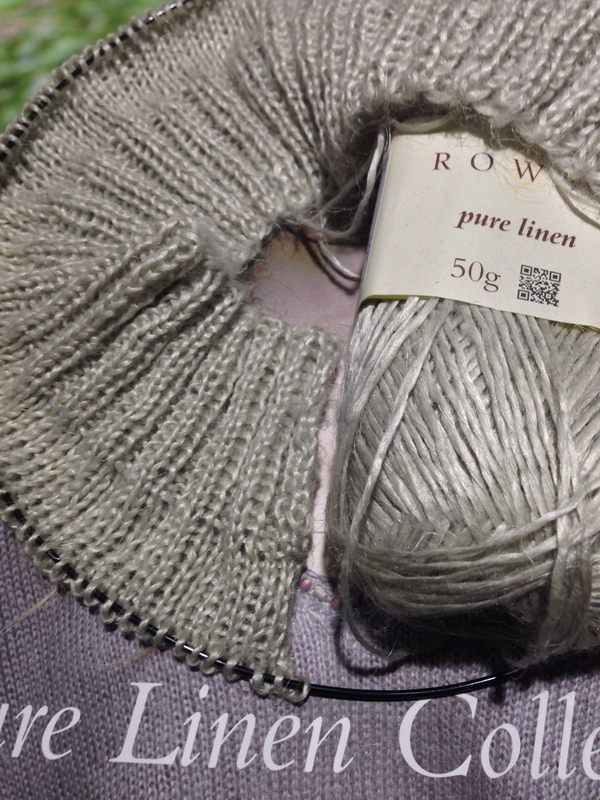 The idea behind this KAL is how knitters may modify a exsisting design. With Trinity I want to encourage everyone to look at a pattern as an inspiration and make it to, in this case, MY Trinity.